Nestling within 3 acres of grounds, abundant with wildlife, these holiday cottages enjoy far reaching views over rolling countryside. Fishing and boating can be enjoyed at the nearby lake. This is excellent walking and bird watching country and holiday makers will enjoy walks down to the creek. These old farm buildings have been converted, and are grouped around a courtyard, yet each retains individual privacy. 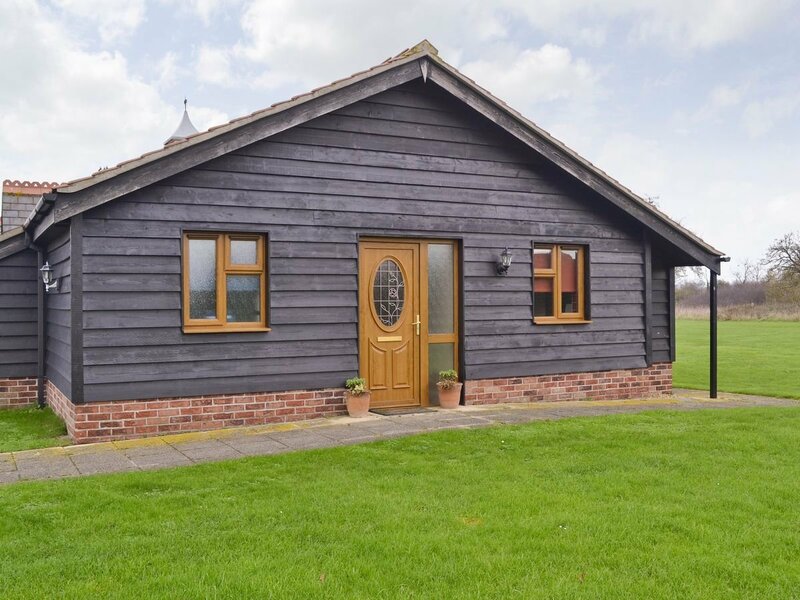 The cottages with their mellow decor and quality furnishings, provide complete relaxation in this delightful corner of Essex. Dairy Cottage (ref 17977) has grab rails and a portable shower seat and Orchard Cottage (ref 17982) has grab rails and low worktops, making these properties perfect for if you are less mobile. This area is well regarded as Essex’s best kept secret with the interesting and popular small towns of Brightlingsea, Wivenhoe, Mersea, Clacton, Frinton and Walton-on-the-Naze, all within ½ hours drive. The town of Colchester is close by, famous for its cobbled streets, castle and zoo, with a wide variety of shops, pubs and restaurants. Further afield are Ipswich, Chelmsford and Felixstowe. Many picturesque villages and Constable country are close by, with Dedham, Manningtree, Nayland, Lavenham and Long Melford to name but a few. Other local pastimes include golf and horse riding. All properties are on the ground floor and have wheelchair access. Shop 500 yards, pub 2 miles.All on ground floor: Living room with double sofa bed and tiled floor. Kitchen with tiled floor. 1 double bedroom with en-suite wet room with bath, shower chair and toilet.Elec panel heaters, elec, bed linen, towels and Wi-Fi inc. Cot. H/chair. DVD. Elec cooker. M/wave. Shared laundry room with w/machine and t/dryer. Freezer. Patio and furniture. Shared use of communal garden and 2-acre grounds. Parking (2-3 cars). No smoking. Wheelchair access. Be the first one to tell us about your rental experience while staying at Linley Farm Cottages - Orchard Cottage. Let us know if the listing matched your expectations. You can share your comments about the location, property owner/manager and all the unique features that made your stay a memorable one.